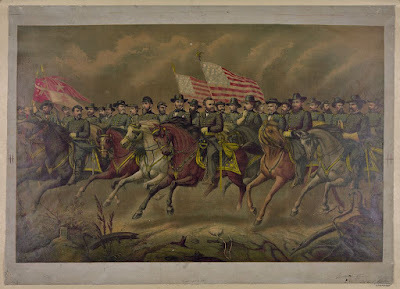 In the Union Army of 1862, field armies were named for adjacent rivers, hence the field army now following Major General Ulysses S. Grant into the south was named the Army of the Tennessee, while the army moving up in support under the command of Major General Don Carlos Buell was called the Army of the Ohio. Both armies were made up of soldiers not just from Illinois, but from nearly all of the Union states west of the Appalachians. From his headquarters at Cairo, Illinois, Grant had sketched out his plan to use the rivers of the mid-south region as highways to move his armies from the Ohio Valley to the Gulf of Mexico, cutting the Confederacy in two and helping to win the war. This plan went into action in a big way in February 1862 when Grant’s troops won a smashing victory at Fort Donelson on the Tennessee-Kentucky border. The victory allowed Buell’s troops to advance down the Cumberland River and take Nashville, while Grant’s force started down the Tennessee River toward an important railroad junction at Corinth, Mississippi. 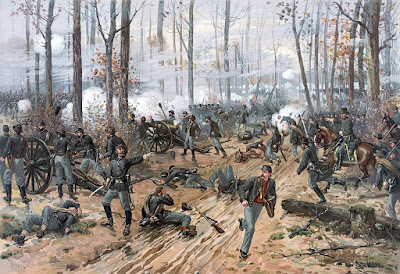 It was this force; which included more than three dozen units from Illinois; that was encamped near a small church called Shiloh on the morning of Sunday April 6, 1862. As they awoke, few were aware that an equally large Confederate army was quietly making its way through the morning mist toward their camp. With Buell’s army still making its way down from Nashville, Confederate General Albert Sidney Johnston saw an opportunity to throw his force upon the fraction of the Union Army in front of him. If he could destroy Grant’s portion of the army, he could even the odds and then turn and fight Buell’s forces when they arrived. The Confederates struck at dawn. Bearing the brunt of the initial attack was a Union division commanded by Brigadier General William Tecumseh Sherman on the right, or western flank of the Union army. Sherman’s men hustled to get into the fight and meet the assault. They fought bravely, trying to hold, but were pushed back by the onslaught. 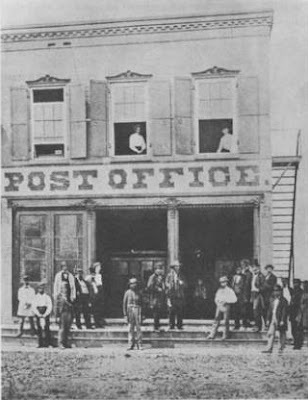 Sherman would later praise the bravery of the men of the 40thIllinois Infantry Regiment, who continued to hold their position even as they ran out of ammunition. Like Sherman’s men, they too were forced to retreat. Toward the center of the Union line, two Illinois generals, Benjamin Prentiss of Quincy and W.H.L. Wallace of Ottawa, had also seen their divisions hit by the early morning’s attack. Prentiss had been better prepared than some other commanders. During the pre-dawn hours, scouts from his division had run into a group of Confederate troops. Prentiss had put his division on alert just in case of an attack. Now, with Sherman and McClernand being pushed back on their right, these two generals realized the deadly seriousness of the situation. The Union line was being rolled up from its right flank, unit by unit, until it was going to be pushed up against the river and either destroyed or forced to surrender. They would have to hold their ground. 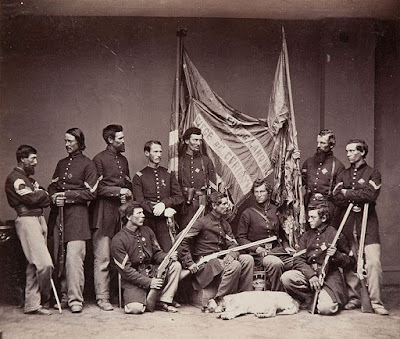 There, alongside the two Union divisions, the 15th Illinois “disputed inch by inch the advance and the incessant attacks of the best troops in the Confederate service,” despite the deaths of five of its ranking officers. Despite these losses, the Union troops in the Hornet’s Nest somehow held on. At last, the Confederates brought up enough artillery to blast the Union line apart and break through. But the delay in their advance had been critical: it allowed Grant time to bring up reinforcements and blunt the attack during the afternoon. It had also come at a terrible cost: more than 500 Union soldiers had died in the defense, a third of them Illinoisans. The most prominent was General Wallace, who was fatally wounded during this fighting, his body being found on the battlefield and taken to a Union field hospital where he died a short time later. Grant had hurried from his command post to the battlefield early in the morning upon hearing the first sounds of artillery. Through the morning and afternoon he was spotted all over the battlefield, rallying retreating troops, placing regiments in battle lines, forming defensive positions to slow the attack. Now he rallied his retreating troops and formed a defensive line around Pittsburg Landing and its steamboat dock on the Tennessee River. As night fell, Sherman held the right flank, McClernand the center and the remaining troops who had escaped the Hornet’s Nest along with others who had survived the morning’s attack anchored the left flank against the river. It was another in a series of stories about Grant’s coolness amidst crisis, smoking his cigar and calmly taking control of the situation. He was already planning the next day’s action. Confederal General Johnston had been killed during the fighting near the Hornet’s Nest, and the southern troops were now under the command of General P.G.T. Beauregard. With the Union troops now in a strong defensive position, the southern plan appeared to have failed, though Beauregard reported success to his superiors. Grant now had another reason for optimism: the first steamboats bearing reinforcements from Buell’s Army of the Ohio had begun arriving. 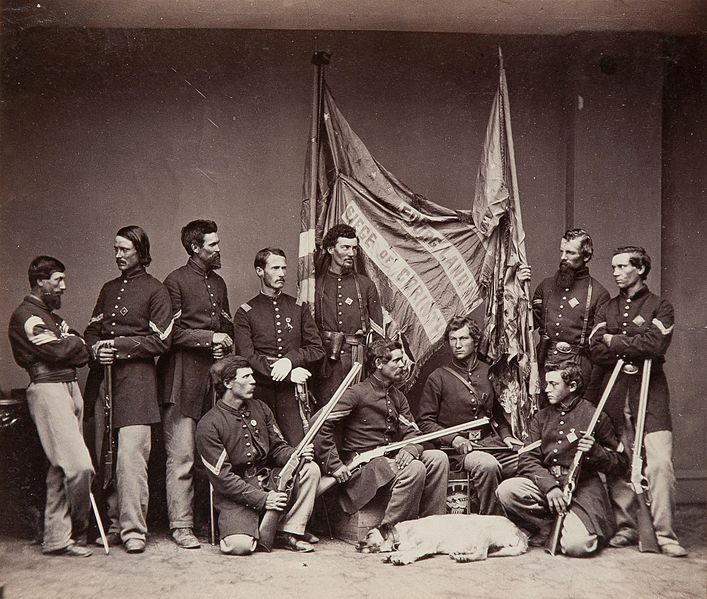 The men of the 45th Illinois; the “Washburne Lead Mine Regiment,” made up of soldiers from the lead mining communities of Congressman Elihu Washburne’s Galena-area district; had been lining up for breakfast in their camp on Sunday morning when the battle started. They were continuously engaged in battle from that moment until Monday night, when they had fought their way back to their original campsite. General James Veatch, commanding the 2nd Brigade of the 4th Division wrote of another group of Illinoisans, “Colonel Hall of the 14th Illinois, led, with his Regiment, that gallant charge on Monday evening which drove the enemy beyond our lines and closed the struggle of that memorable day.” The 14thIllinois emerged from the battle having lost half its strength and with 42 bullet holes in its regimental flag. Beauregard ordered his remaining forces to retreat late that afternoon. 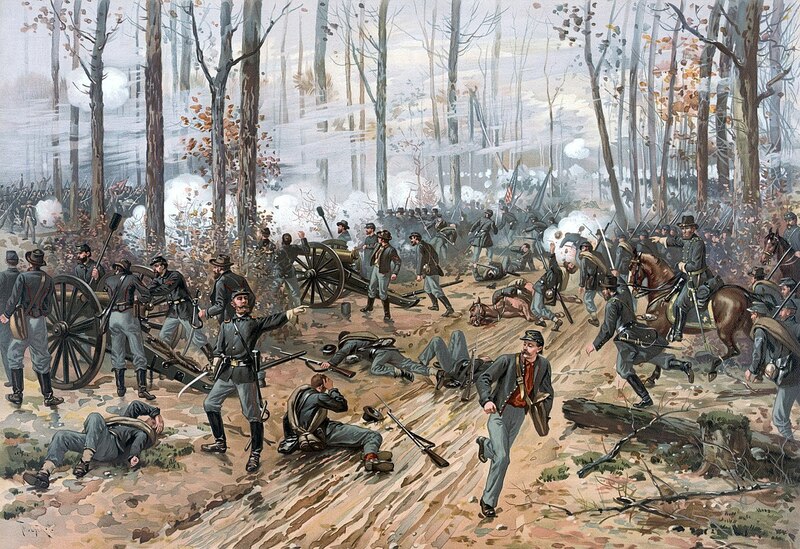 The costly battle of Shiloh had ended in a Union victory. But the victory came with a price. The Union Army took over 13,000 casualties, the Confederates 10,000. Grant was blamed for the high casualty count. He was charged with being unprepared for an attack and accused of being caught by surprise. He was even accused of being drunk. Calls for his removal from command made it all the way up to Lincoln, who stood by his fellow Illinoisan. Grant would keep his position, but General Henry Halleck, a longtime rival of Grant’s took command of the forces in the field. But Halleck proved as ineffective as so many other Union generals in the early years of the Civil War. Neither Lincoln nor the officers under Halleck’s command had much confidence in the cautious, plodding Halleck, and he was “promoted” to an administrative position in Washington, allowing Grant to resume command of the western army in time for the upcoming Vicksburg campaign. Having weathered the trial, Grant would be available when his nation needed him the most. 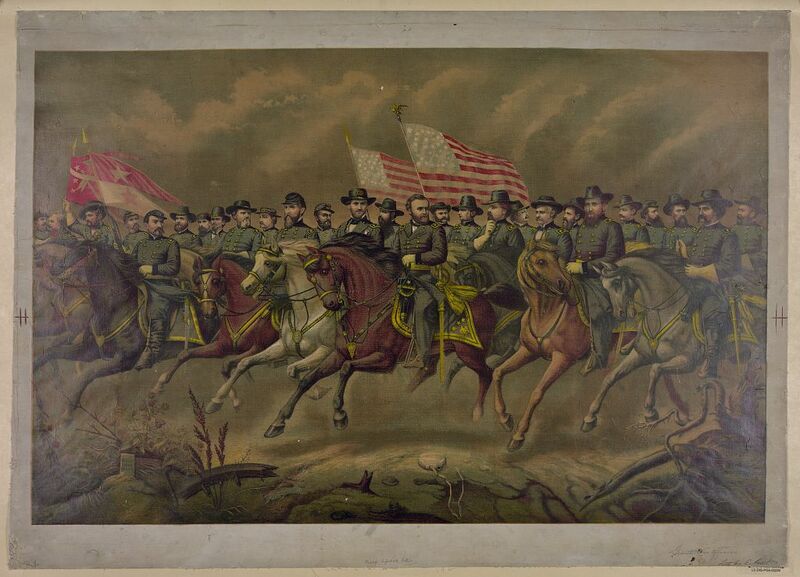 Over the next two years, as one Union general after another failed and was removed from command in the east, Grant continued to win victories in the west. At last, Lincoln called him to Washington and placed him in command of the entire Union Army. A year later, nearly three years to the day after Shiloh, Grant accepted the surrender of the Confederate Army of Northern Virginia. Grant had confirmed the confidence Lincoln had placed in him after loud voices called for his firing after Shiloh.